A friend of mine introduced me to this gem a few years ago. Prior to that, I'd never given the brand a second glance which is such a shame as they make some great natural products. I've used a number of their products and will definitely pick them up whenever I can. Purchase: your can buy this from most BSS/Supermarkets in Lagos. I'll be using this to moisturise my hair hopefully I like it now as much as I did then. 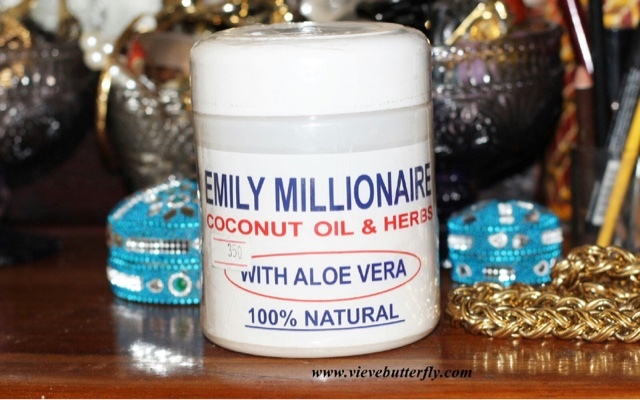 Have you used this or any other product(s) from Emily Millionaire? Anything with coconut and olive oil in it is great. I will try it and see if it works,nice review. 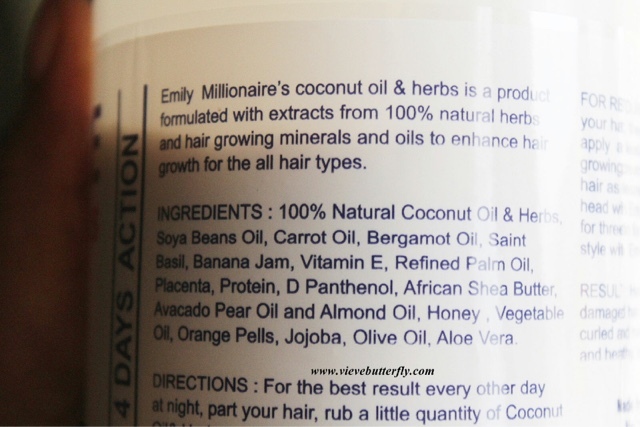 I love my coconut oil. Thanks for sharing. It is very cheap. I used to use it when my hair was relaxed and it was amazing. Make sure you buy the original cause I believe there are fakes or those that have gone rancid in hot weather. Open and get a whiff to ensure it smells nice. Its conditioning to the hair. 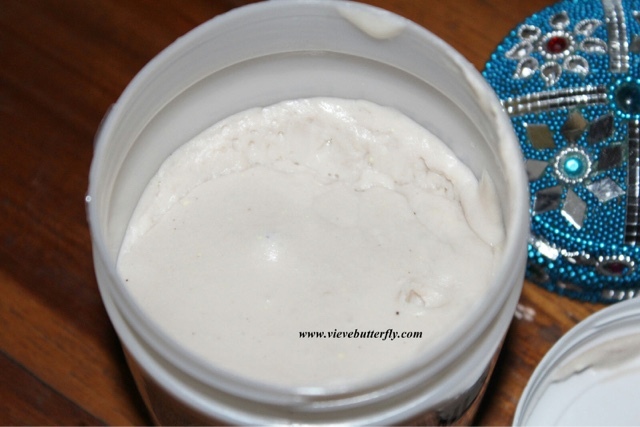 For natural hair thin it out with water apply or apply to wet/damp hair cause the consistency is very thick.